Driving back from East London to Port Elizabeth last week I got stuck at the road works between Kinkelbos and Colchester. I don't allow road works to faze me anymore and always get out, lean against the car and enjoy whatever scenery there is. This time around the sun was setting in the west with some spectacular clouds and I grabbed my camera for a quick stop-go roadside photo shoot. You should have seen the sky 10 minutes later as I came down the hill into Colchester with the Sundays River in the foreground. Unfortunately by then the camera was packed away and there was nowhere to pull over with it only being one lane. Next time. 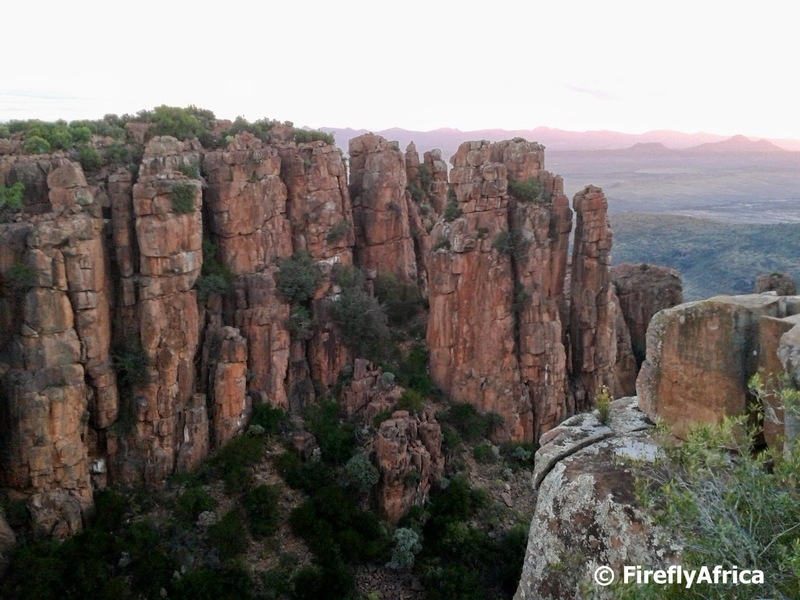 A visit to Graaff-Reinet isn't complete without a trip up to the Valley of Desolation in the Camdeboo National Park. It's hard to say when the best time would be for such a visit though. 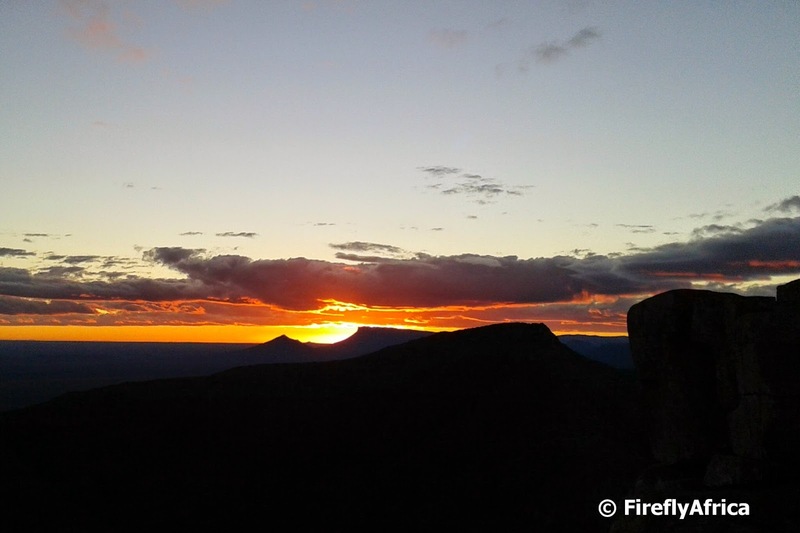 That depends if you would like to enjoy all the views in bright sunlight, want to take photos in the early morning light or want to see the sun set on the distant Karoo horizon. Personally I like to go up in the late afternoon to go and see the sunset. The biggest drawback of that is that the view of the town from the first lookout point is totally in the shadow of the mountain. This off cause is the total opposite in the morning. But shadow or not, its still so worth the short walk to the top. Its also from here that you get to see the back of Spandau Kop, the well known natural landmark you see on your left as you enter Graaff-Reinet from the south. 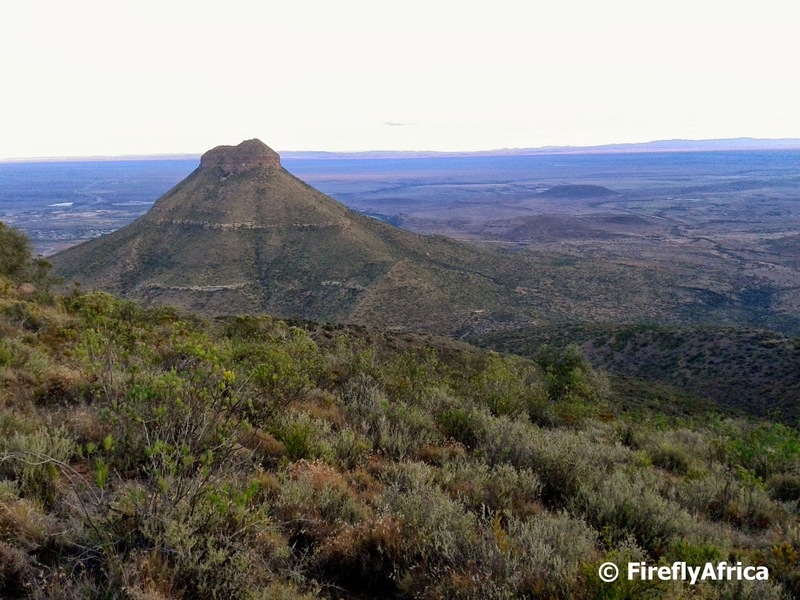 Spandau Kop is a typical Karoo koppie which, to somebody who doesn't know what that means, can be described as a flat topped hill and iconic to the Karoo. ... but I did get this and that is what I was there for. 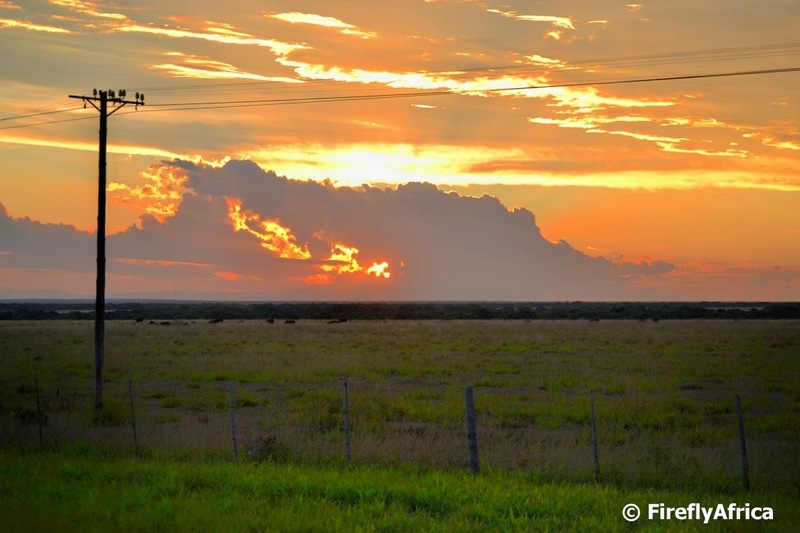 Sunset over the distant plains of the Karoo. Truly Big Sky Country! Statues is a bit of a sore point in South Africa at the moment (referring to the Cecil John Rhodes statue at UCT and and and...) but there are some truly special ones out there. 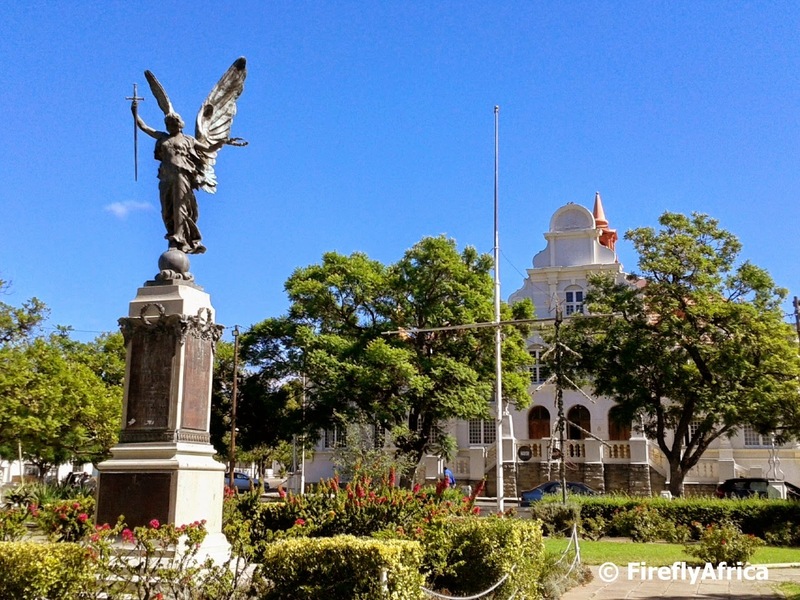 One of these is the War Memorial or "Victory Peace Angel" outside the town hall in the Karoo Heartland town of Graaff-Reinet. About three months after the end of World War One, the Mayor of Graaff-Reinet called a public meeting to discuss the erection of a war memorial. 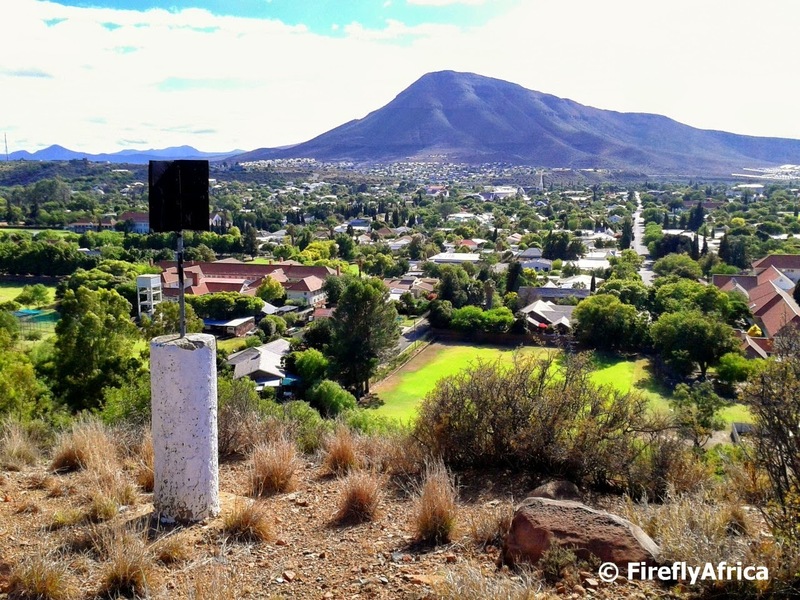 The site decided on was what is now known as the Mayor's Garden right in front of the town hall and the memorial was to honour the brave men of Graaff-Reinet who had lost their lives in the war. The great bronze figure mounted on a high pedestal was unveiled on 7 November 1923 by H.R.H. Prince Arthur of Connaught. It was designed to stand guard over the names of the men from Graaff-Reinet that died during the first World War. 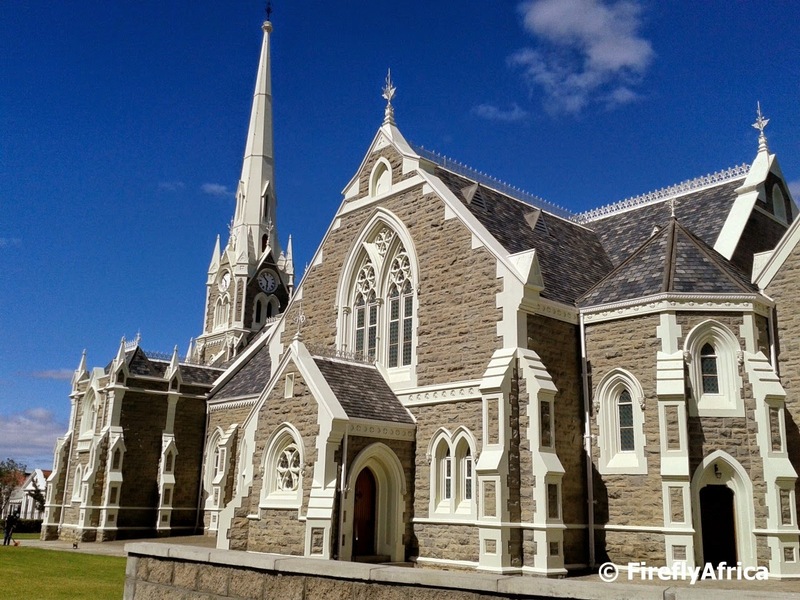 Spending a night in Graaff-Reinet recently I made sure I popped by the Dutch Reformed Church (Groot Kerk) on the Monday morning to see if I could actually get into the church. The cornerstone of the church was laid on 12 April 1886 and it cost what was then a staggering 7,500 pounds. 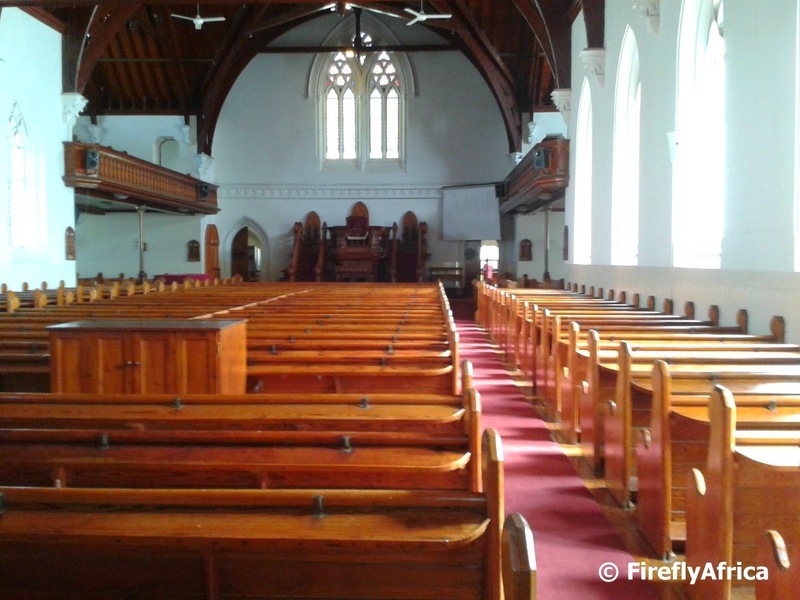 The inaugural service took place on 11 of September 1887 with 2 000 people attended the service. People must have come from far and wide to attend. I wonder how many were there purely cause they were curious to see it. Anyhow. One of the interesting things about the church is its ecclesiastical collection silver. During the time that Reverend Andrew Murray was in Graaff-Reinet the church acquired 14 valuable items of old Cape silver. Because of their exceptional value they are only viewable in pictorial form. 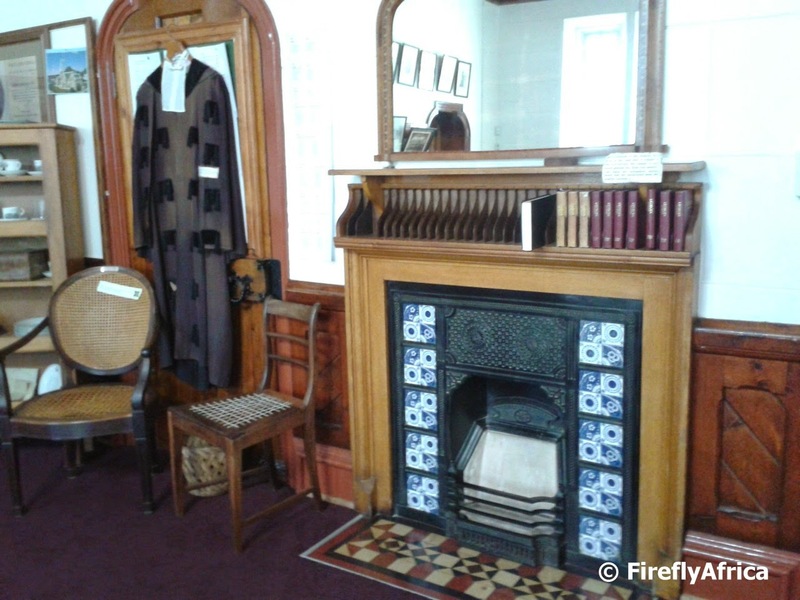 One of the other very interesting facts about the church is that it has a fireplace situated in the vestry. It is said to be the only such fireplace in a Dutch Reformed Church in South Africa. Because of this the church also has a chimney. I wonder how many locals even know this. The fireplace though has never been used. Anybody visiting Graaff-Reinet and wanting to visit the church can do so from 9am - 4pm from Mondays to Fridays. 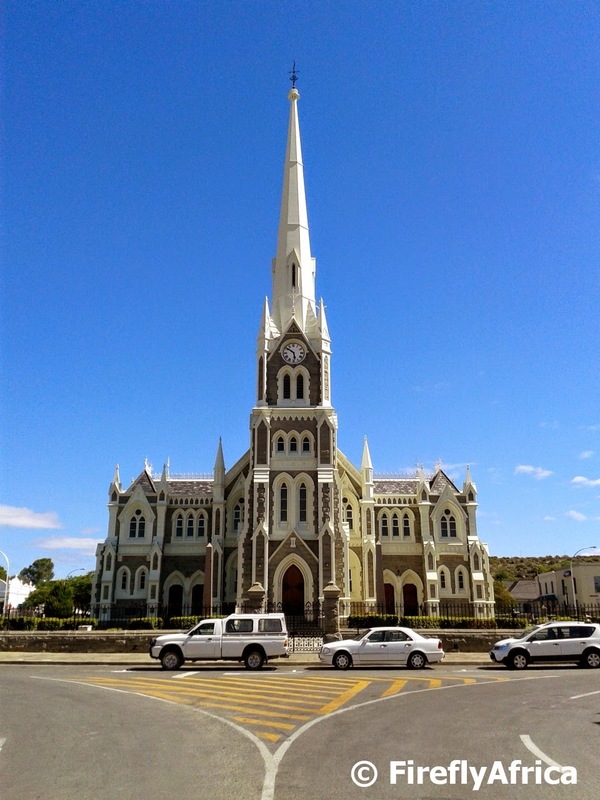 The view of the Groot Kerk at the top of Graaff-Reinet's main drag is something you don't sommer forget that easily if you've ever visited this Karoo Heartland town. As you enter the town from the south the church slowly becomes visible at the top of the main road. It looms out above the surrounding buildings as you get closer and suddenly it looks like you're going to drive right into it till the road swings left and circles behind it. The Dutch Reformed Church with it's 45,7 meter high steeple was completed in 1887 and has its design based on the Salisbury Cathedral in England. The first recorded church in the town though was built in Church Street in 1792 but burned down before it was completed. In 1800 they completed a second church, this time on the site of the present church. In 1822 with the arrival of Rev Andrew Murray the church was demolished and a third church with a thatched roof, gables, clock tower and encircling wall was completed the next year. This church served the community for 60 years until they decided to replace it with what we see today. 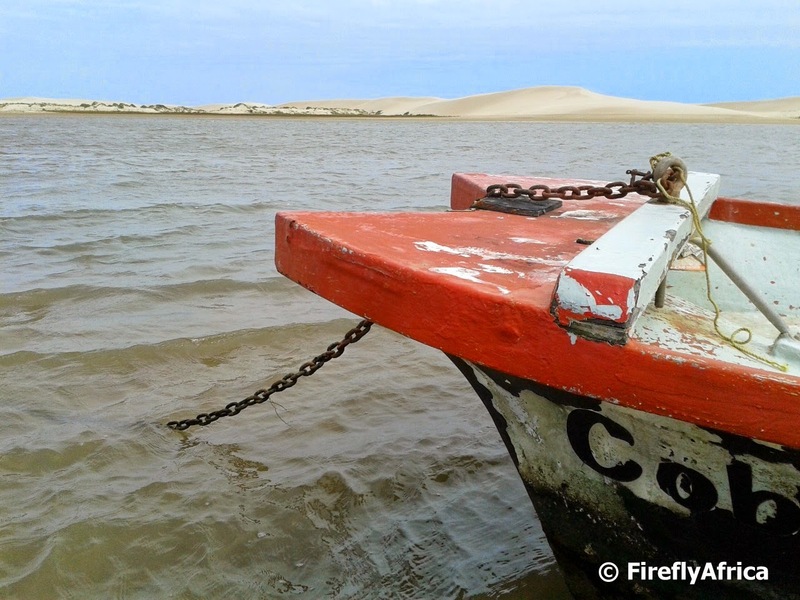 The Gamtoos River is a very popular fishing destination in the Eastern Cape. A quick trip down to the Gamtoos Mouth had me spending some time on the river banks taking pictures of a couple of boats lying at anchor there. The owner of this one live right across the road and came out to chat to us. Turns out he doesn't use this particular boat for fishing. He uses it to take his boerboel dog across the river to go and run in the dunes. Jeffreys Bay is seen as the surfing capital of South Africa with Supertubes being rated as one of the top 10 surf spots in the world. Supertubes is one of the best right hand point breaks in the world and one a good day can break over a distance in access of 300 meters. Swinging past there the other day the conditions were flat with no real break. 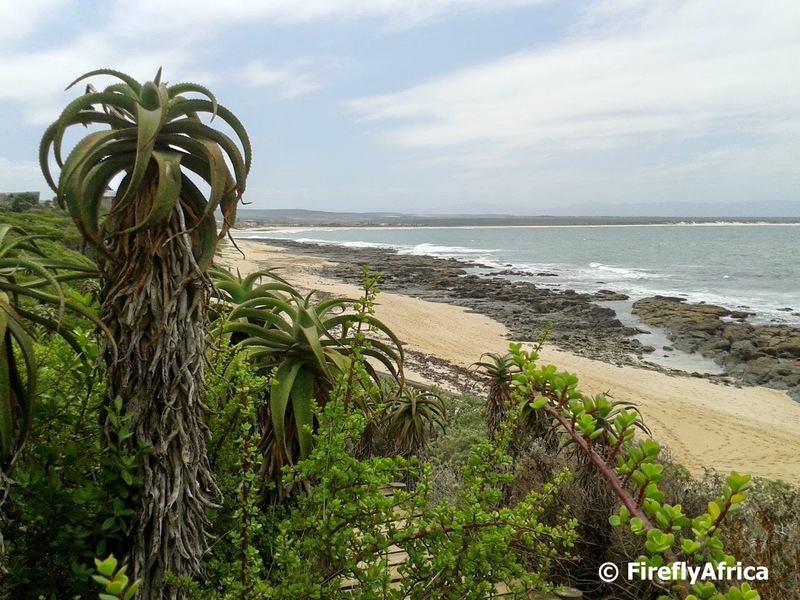 The coastline is still stunning and with the aloe in picture its exactly as one is supposed to imagine the Kouga region coastline, an area where beach and bush meet. South Africa's roads have many different road signs. Some you see everywhere and sometimes you get those who crop up and make you do a double take. When it comes to people and animals on the road there are quite a few. Pedestrian crossing signs. Warning signs for cattle, tortoises, children, poth-o-les (I'm not sure what a poth-o-le is and what it looks like though. Must be some kind of nocturnal animal), kudus, cats and even penguins. I have even seen signs with elephants on public dirt roads through game reserves and signs with dung beetles in Addo Elephant National Park. But seeing a Buffalo warning sign on a tar road was a first for me. 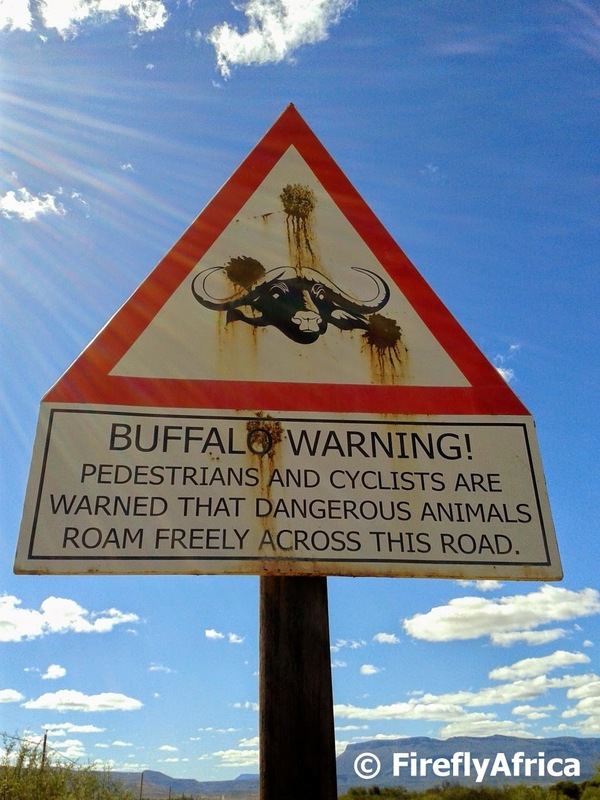 The Buffalo Warning sign is situated on the R63 outside Graaff-Reinet where the road runs through the Camdeboo National Park. Camdeboo is home to Cape Buffalo and they apparently often cross the road on their way to the dam to drink water. I really enjoy visiting small town museums. There is always something interesting to discover in them and no better way to learn more about the history of a place. Graaff-Reinet has a number of very good small museums but if I had to choose only one to go to I would﻿ choose Reinet House. The Graaff-Reinet Museum or “Reinet House” is a former Dutch Reformed Church parsonage and was built in 1812. It was the home of three ministers prior to 1822, the year in which the Rev. Andrew Murray, from Aberdeenshire, Scotland, became the resident minister. After his death in 1866 the parsonage was occupied by his son Charles until 1904 after which it was used as a boarding establishment for girls wishing to train as teachers. It was during this time that the late Miss Helen Murray, a sister of Rev. Charles Murray, named the house “Reinet House”. In 1956 the Graaff-Reinet Museum was officially opened. Not all the interesting objects can be found inside the museum though. 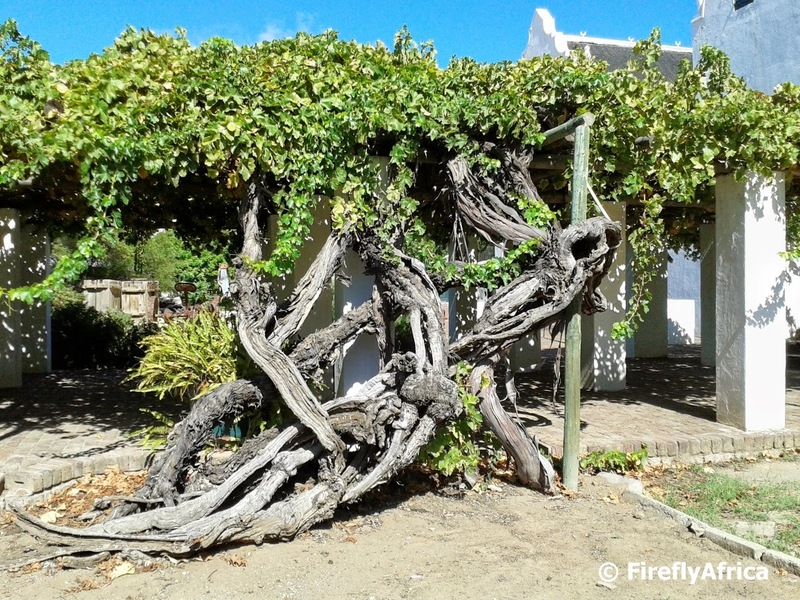 In the backyard is a Black Acorn grapevine planted by Charles Murray in 1870 which is said to be the oldest living grape vine in South Africa. The "trunk" of the vine used to be a lot bigger than now but some years ago a big part of it had to be cut away when it picked up a disease. It may have lost some of its girth but at least it didn't die and will hopefully be around for many years to come. 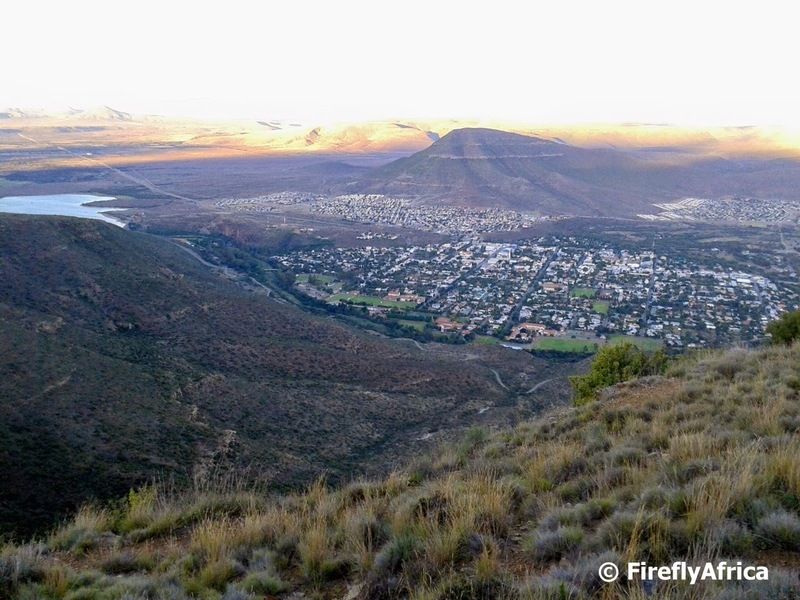 Graaff-Reinet is one of my favorite towns to visit for so many reasons. I spent a night in this beautiful Karoo Heartland town a week or so ago arriving on a Sunday afternoon for a Monday morning meeting. Getting up early the morning I headed out to one of the view points looking out over the town before doing a little sightseeing to still be back in time for my meeting. Graaff-Reinet is the fourth oldest town in South Africa and has more national monuments than any other town in the country. Over 220 of them in total. One of these is the Dutch Reformed Church (Groot Kerk) that looms up in front of you as you drive through town on the main road. 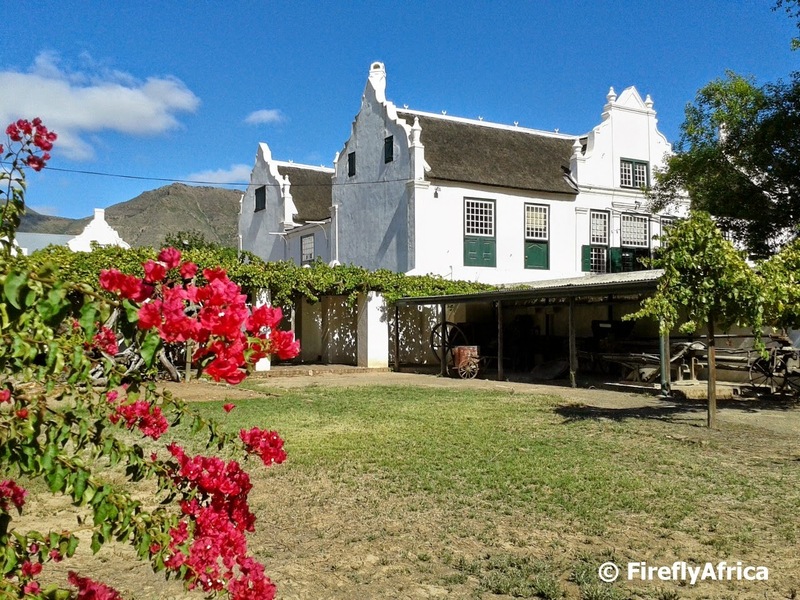 The town has a number of very good museums and if you have to choose only one to visit I would recommend Reinet House where you will also find the oldest grape vine (planted in 1870) in South Africa. Graaff-Reinet is also very in that it is surrounded by the Camdeboo National Park and it is here that visitors flock to see the magnificent Valley of Desolation. I got to go up to the valley the Sunday night on tour with local guide Chantelle Marais and if you want a fountain of information about the town and its surrounds, she's your girl. The word Camdeboo, comes from the Khoi word meaning ‘green pool’ or ‘green hippo pool’. In the Khoi language Cam-/Kam- means ‘green’ and -debo(o) ‘pool, hippo pool’. I seriously need to come and spend a few days in Graaff-Reinet on a Sho't Left and give the town a good exploration. Most people visiting the Karoo town of Graaff-Reinet take a drive out to the Valley of Desolation to enjoy the magnificent views of the town and surrounding Karoo plains as well as the very sheer cliffs and unique Dolerite stone columns of the valley. I wonder how many people have spotted the monument on the left as you pass the dam just after leaving town. 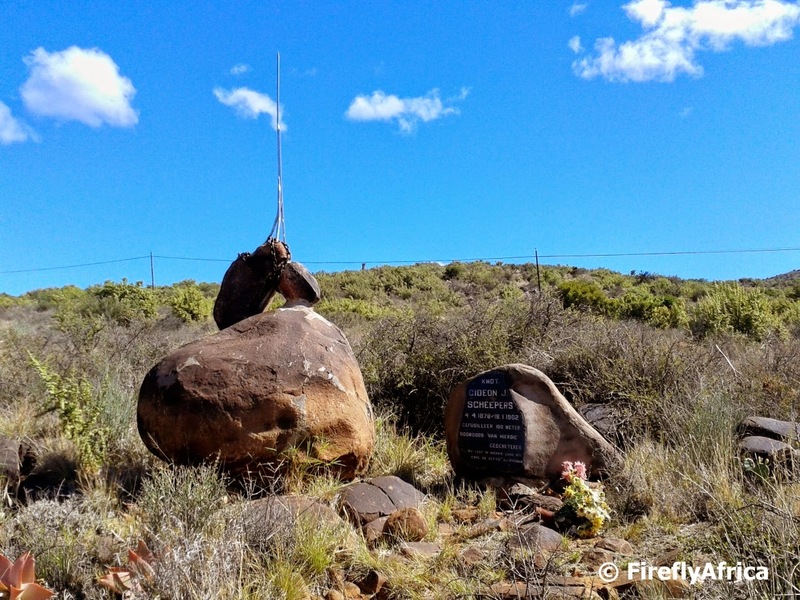 The Gideon Scheepers Monument remembers Commandant Gideon Scheepers who was a Boer scout and commanding officer during the Anglo-Boer War. Scheepers and those under his command wrecked trains and burned the farms of those unsympathetic to the Boer cause. He was captured in October 1901 by the British and found guilty by a British military court on charges of murder and arson. He was buried at the place of his execution by a firing squad in the veld near Graaff-Reinet. He was only 23 years old. That same night his body was apparently exhumed by British troops and reburied at an unknown spot. Efforts to trace his grave and approaches to the British authorities to reveal its location was unsuccessful.